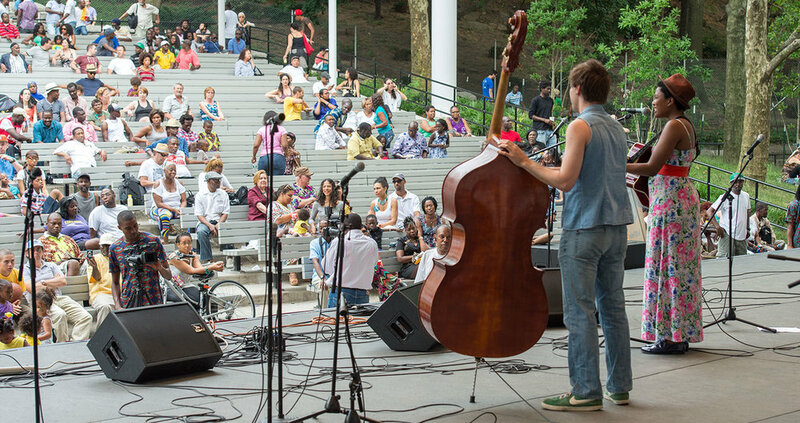 Located in Marcus Garvey Park in Harlem, the band shell and amphitheater is a vibrant community gathering place for music, dance, celebrations, and ceremonies. Nextstage Design principal Tony Forman, while at Theatre Projects, managed a full scope of theater planning and equipment design services, starting with participation in community meetings and conversations with the NYC Parks Foundation and the Parks Department. Based on that input, the design team developed the seating, stage, and backstage areas to accommodate a wide range of uses. The addition of a new multi-purpose room at the rear of the stage, which connects directly to the Pelham Fritz Recreation Center, provides a year-round dance studio and dressing rooms for band shell events. Once again the Harlem community has a modern facility to support performances, parades, and parties!